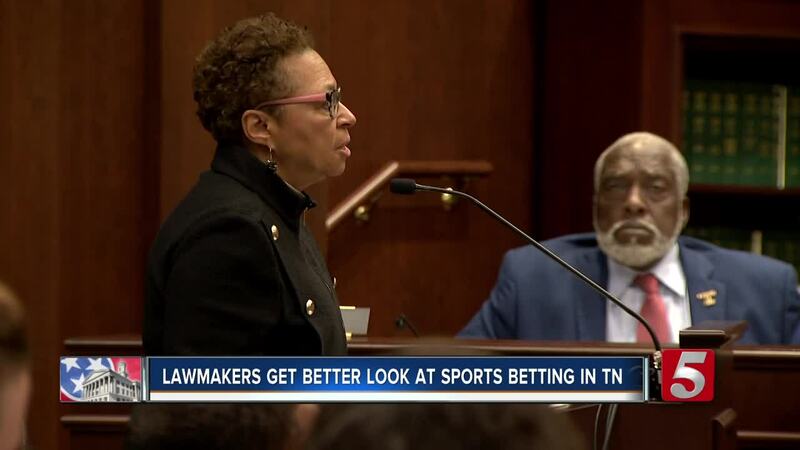 A bill that would allow sports betting in Tennessee was fundamentally altered by the bill's sponsor by only allowing customers to place bets online. NASHVILLE, Tenn. — A bill that would allow sports betting in Tennessee was fundamentally altered by the bill's sponsor by only allowing customers to place bets online. It was supposed to bring sportsbook style shops and kiosks to Tennessee, but state representative Rick Staples introduced an amendment that changed much of the bill language. Instead of physical locations, betting would happen online. Betting would be managed by the Tennessee Education Lottery Corporation. Rep. Staples said he believes the state will raise $21.6 million in the first year of operation, doubling that number in the second year. Local governments would receive 15 percent of the taxable income while the Lottery for education account would receive 85 percent. Some lawmakers are skeptical of the bill. State rep. Rush Bricken questioned why the bill didn't have some of the tax money going towards gambling addiction in Tennessee. The program allows for 10 companies to take up the business in Tennessee. At a committee meeting Tuesday, a representative for FanDuel, an online fantasy sports betting website, said the company would be interested in being one of the 10. Vice President of Tournament Administration for the PGA Andy Levinson said he was in support of the bill as well. He hoped Tennessee would take a modern approach to their betting services. "In international markets that are a bit more sophisticated, they're doing what's called inplay betting, which is bets that are placed once a competition is started," said Levinson. "You will be able to eventually bet by hole-by-hole or shot by shot or where a shot might land on the green."